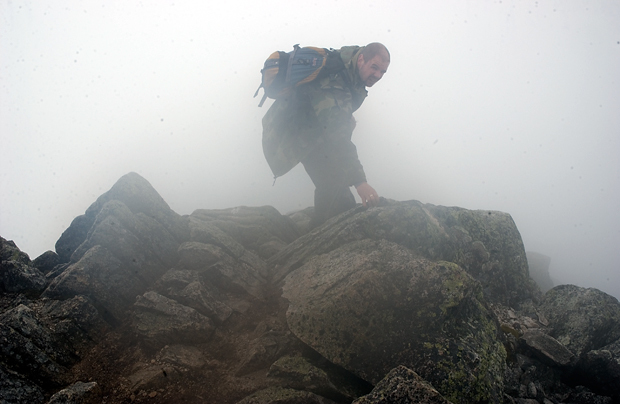 I climbed Mount Katahdin on Saturday. 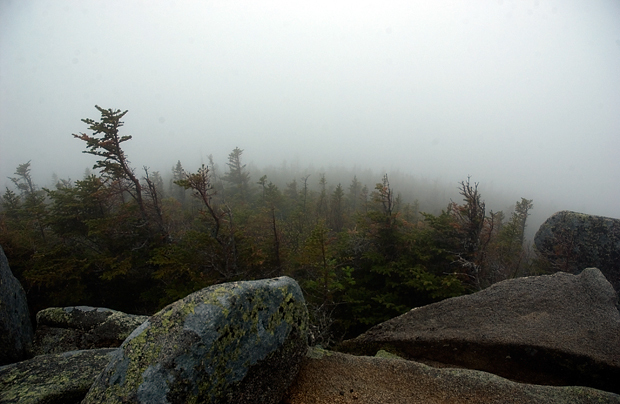 It's really exhilarating to be above the tree line. 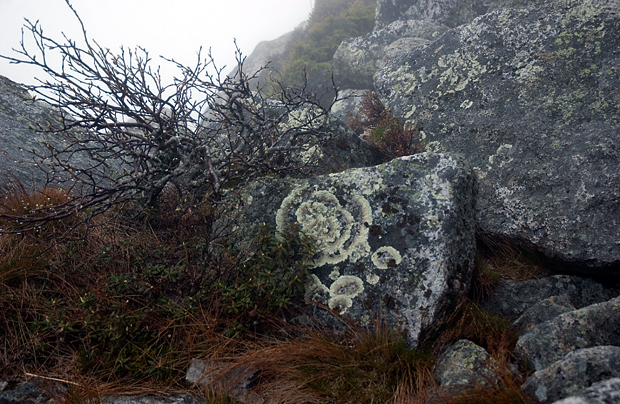 One of the best things about Katahdin's alpine environment are the lichen, moss, and miniature vegetation. 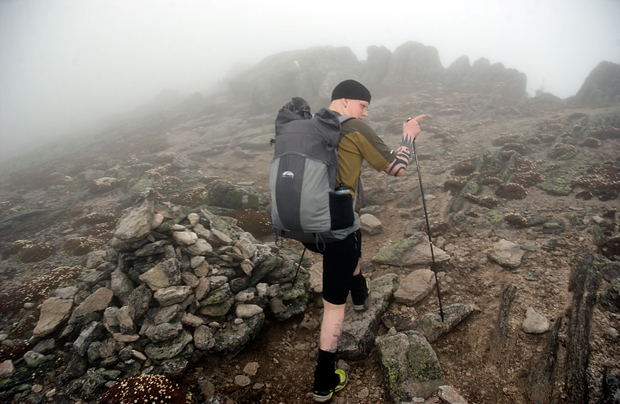 Ben is an avid hiker and backpacker, I hitched a ride to Baxter State Park with him. 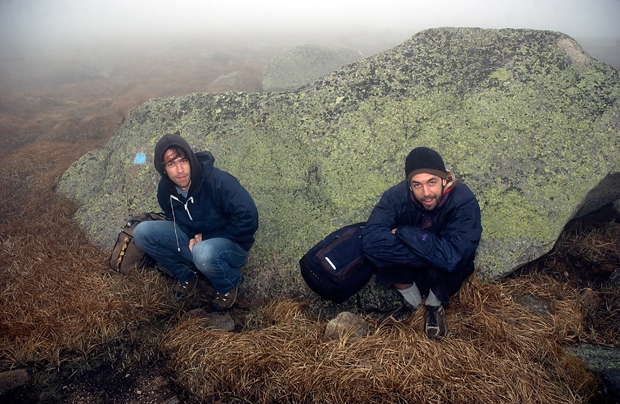 Brothers Etienne and Simon of Montreal take cover from the wind beside a boulder near Thoreau Springs. 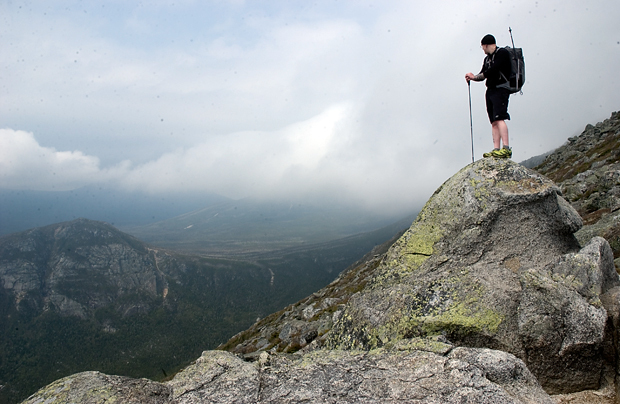 They are waiting for some friends before heading on to Baxter Peak. At the top for the second time in a week. 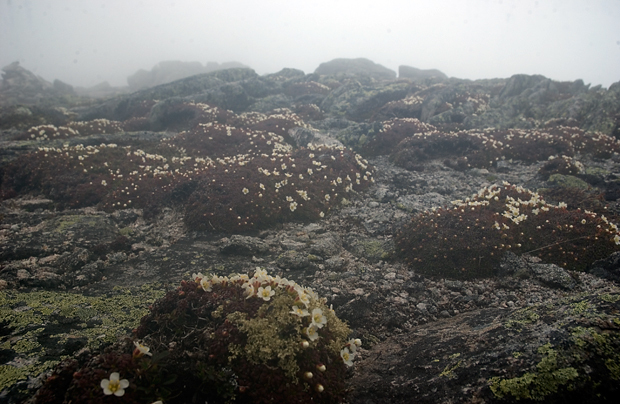 I was told by Donna the botanist that this flower that grows all over the mountaintop is called diapensia. She also told me the alpine azalea I photographed the prior Sunday was an extremely rare member of the rhododendron family, that has several other aliases. 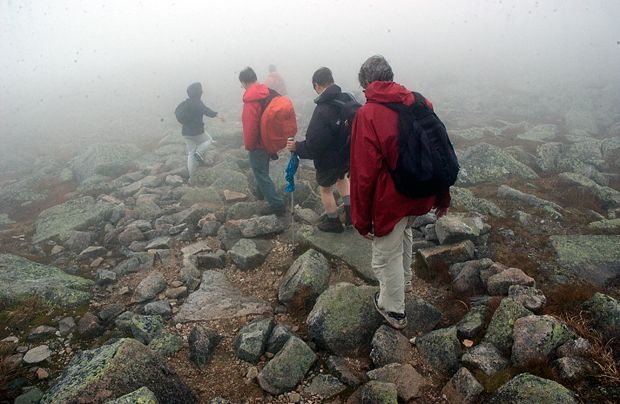 A group of botanists and outdoorists hike and observe, led (but physically followed) by Donna. 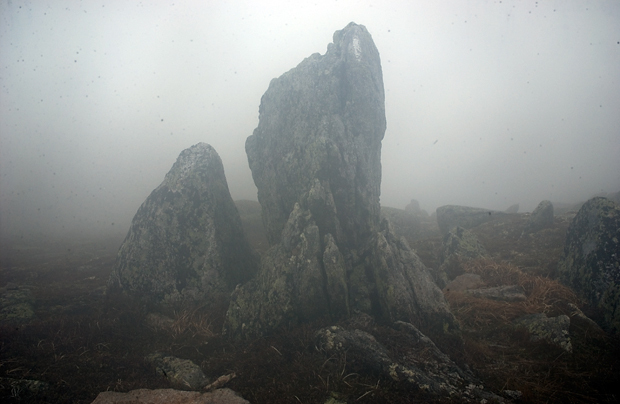 The rock structures are amazing in the mist. Sometimes I mistakes rocks for people, sometimes I mistake people for rocks. I am climbing back down the rocks. 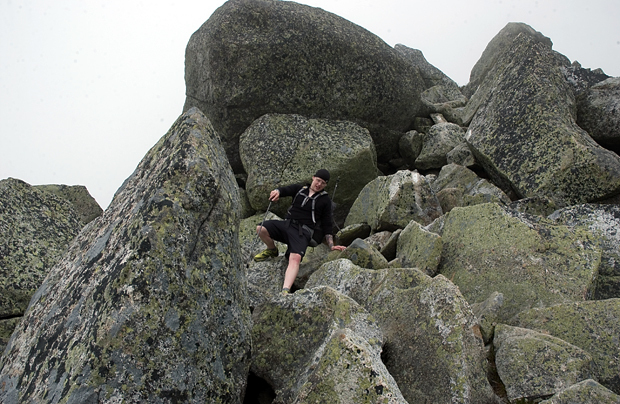 Ben climbing down the Hunt Trail boulders, also the northern-most piece of the Appalachian Trail. 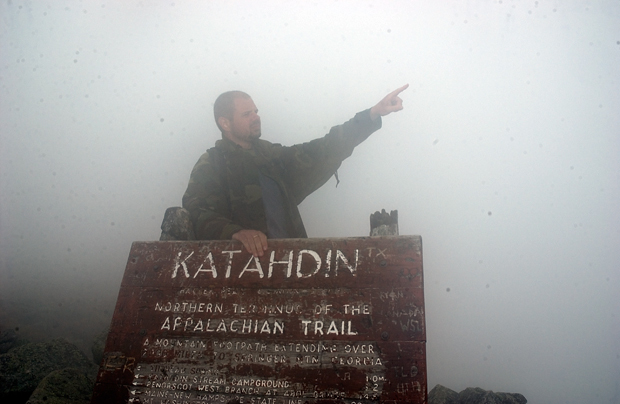 Stopping to take in the view as the clouds clear.